If you're trading with RSI, Stochastics, or any of the old style indicators, it's time to upgrade your tool kit. 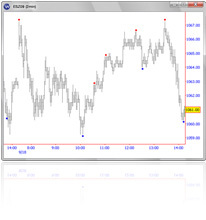 The Wave59 Advanced Trading Platform takes advantage of today�s computing power to perform highly advanced analyses that would have been impossible less than a generation ago. 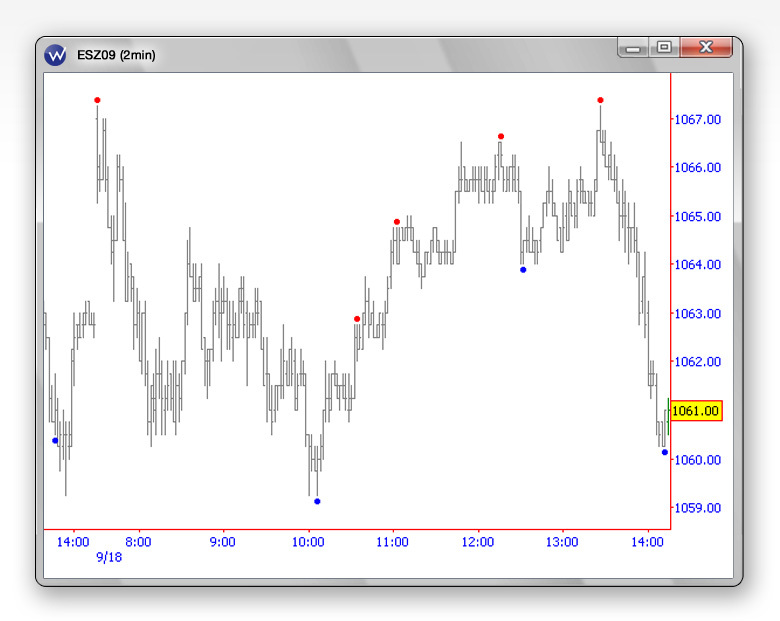 Example: Exhaustion Bars based on price patterns that appear at important turning points in the market. 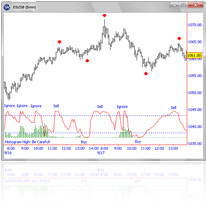 Wave59 examines the data in real time and pops a dot up on the screen when a pattern match is found. Example: Modified Lomb Periodogram. The red oscillator reveals the relationship to the dominant market cycle. Wave59�s proprietary version is intelligent enough to know when it's confused. 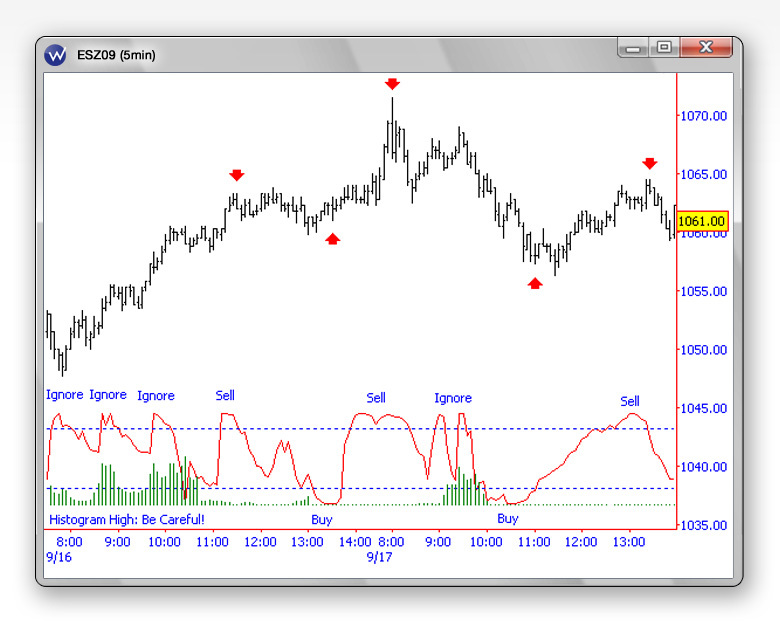 The green histogram indicates the level of error so you can trade with confidence.